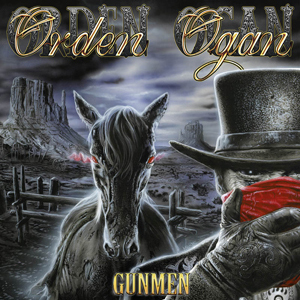 Power metallers ORDEN OGAN have set Gunmen as the title for their new studio album, which will be released on July 7th. But not only that: the band has announced three Live release shows (supports will be MOB RULES and HUMAN FORTRESS). Tickets are exclusively available in the AFM webshop. The ticket owners will receive an exclusive ORDEN OGAN Live CD on show day! Pre-order the Gunmen album HERE.